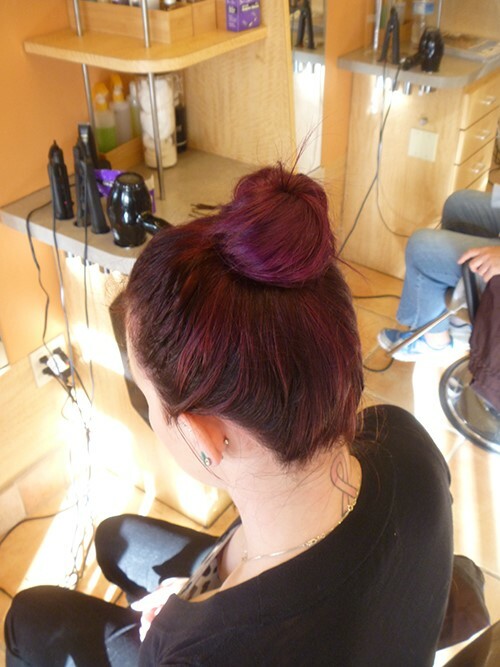 As the temperature warms up the top-knot is the must have hairstyle of the season. It’s the perfect hairstyle to get your hair up and off your shoulders in an effortlessly chic, practical, and an extremely easy way. It’s also a hairstyle that can be styled casually for a day running errands, or more polished for a day at the office. Here we show you how to do a casual top-knot in five easy steps. Step One: Start with your hair running down your back and make sure to brush it to remove any knots for easy styling. Step Two: Gather your hair into a high ponytail. 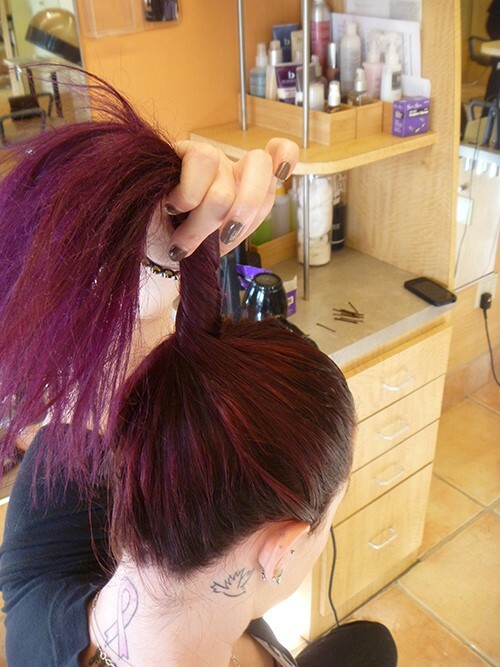 Step Three: Begin to twist the ponytail to help create the base of the Top-Knot. Step Four: Twist your hair around your hand and pony tail base creating a bun. Step Five: Finish by taking the ends of the pony tail and pinning it in with a bobby pin. Be sure to also pin any fly aways your may have into your bun. You now have a chic and beautiful top knot. Redheads are red hot this year! Many celebs are rocking this look — whether they are enhancing their natural fiery color, deepening with dark reds or going bold and bright. 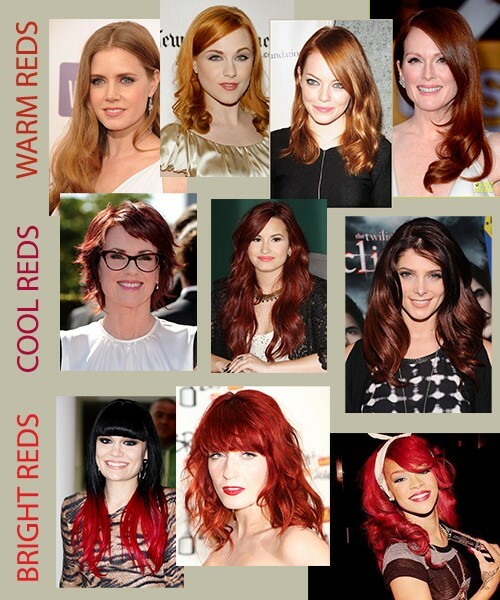 The great thing about the red trend is that the shade/ intensity can be customized to anyone’s skin tone & hair style. Want to go red? Here’s what you need to know. Use a color depositing shampoo w/ a low pH level. Shampoos that are specifically formulated for red hues deposit red pigments into the hair, helping it last longer. A low pH shampoo will not disrupt the cuticle and help keep color sealed in longer. Wash less. Try dry shampoo to keep fresh between washes. Keep touch ups on the regular and consider a color gloss in between color services. Use a leave-in sunscreen every day, and wear a hat while in extended sun exposure. Always, ALWAYS protect your hair before heat styling. This goes for any shade, but since red hair is prone to fading, a heat protectant will help prolong vibrancy. Also consider… do your eyebrows match? When going red, consider your brow color – while you won’t really “match” your brow color to red hair color, lightening or darkening a few shades is necessary when making a bold change. Get inspired & go red! 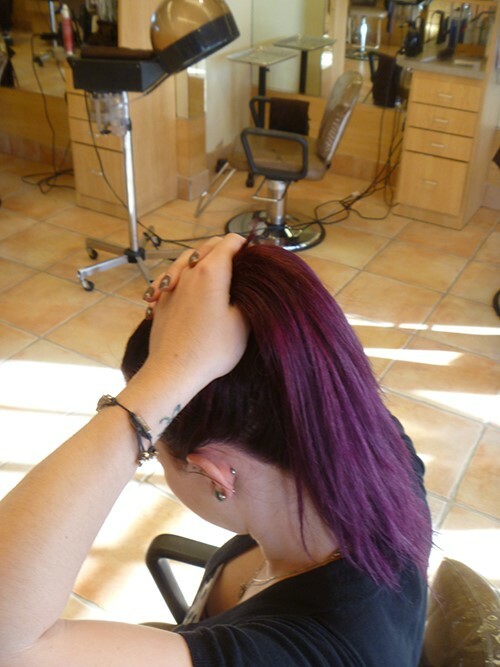 Barberia specializes in hair color & has expert techniques for creating vibrant, shimmering reds in all hues. We have also perfected an advanced process of safely removing red from hair to return it to natural, as well as change to blonde or brunette. Are you ready for red? Making every day a great hair day isn’t too difficult once you understand why & how a balanced pH is key to healthy, beautiful hair. Many hair products promote the fact that they restore the pH balance in your hair, and unless you remember High School Chemistry, you are probably left wondering, “What the pH?!? 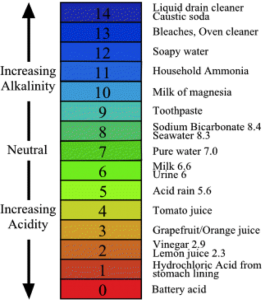 !” For those who passed notes instead of paid attention in class, pH stands for potential of Hydrogen, and is a scale of measurement from 1, being the most acidic, to 14, being the most alkaline. Why is balanced pH important for healthy hair? So, now that you know what pH is, you’re probably wondering why it’s so important to your hair. Hair that is pH balanced means that it falls between 4.5 and 5.5 on the pH scale, and it means that your hair is healthy, has a natural shine, and is protected from fungi and bacteria that causes odor and damage to hair. When your hair’s pH is not balanced your hair’s cuticle is opened, which leads hair color to look dull and uneven. Unsealed cuticles also contribute to damage, dryness, and lack of vibrancy. Your scalp can be itchy, stinky and/or extra oily. This is caused by bacteria and fungus that thrives in low acidity pH. What factors put hair’s pH balance at risk? Choose a shampoo that is pH balanced. Ones to try: Barberia’s True Hue Anti-fading Color Shampoo or Silk Protein Shampoo. Follow with the corresponding conditioner. Most shampoos & conditioners are formulated in pH balanced pairs designed to work together. While it is beneficial to use a treatment periodically to target hair-specific issues, your best bet will be to keep your routine cleanse & condition limited to shampoos and conditioners that are formulated to work together. Restore pH levels after each hair color or chemical treatment: “The best way to do this is with a post-service conditioning treatment that is specifically designed to restore proper pH levels,” Terry advises. One to try: Biophil Hair Treatment. This conditioning treatment is specifically designed to restore pH balance and close the cuticle of the hair (this month, Barberia is offering a FREE BiopHil with every color service! Click here for details). If you are still experiencing signs of unbalanced pH levels in your hair, talk to your stylist for a customized solution. Experts guide to healthy, fabulous fine hair. A lot of people out there have fine hair, including many of you, our loyal clients. Some have LOTS of fine hair, while others not only have fine hair, but it is also thin. Either way, fine hair poses challenges for anyone who’s got it. But anyone who has fine hair knows that it also has its advantages too – it dries quickly, curling/ straightening is much easier & faster, and less product is needed to achieve results. These pluses add up to saved money, time and energy that our fuller-haired friends do not share. However, fine hair is uncompromisingly delicate, and must be treated with care & attention in order to look good & stay healthy. We asked our fine hair expert stylists to talk to us about what it takes to get great hair even if it is fine/ thin. Here are their four fine hair non-negotiables. A great haircut: Fine/ thin hair cannot hide from a bad or grown-out haircut. Fine tresses tend to show cutting work more than full hair simply because there is less of it, so every snip shows. Make sure your stylist cuts face framing layers for added lift and dimension. 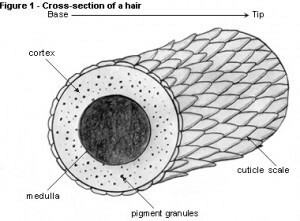 Avoid too many layers at the ends, as this is a thinning technique used to reduce weight and bulk for full haired heads. Super short choppy layers in longer styles can also contribute to a major frizz out, so make sure medium to long styles have corresponding layer lengths. CLEANSE: Wash hair regularly – but not daily (more on this in a sec)– to avoid build up using a gentle shampoo specifically for fine hair. Try to avoid shampoos with sulfates which can be too harsh for delicate fine hair. Our stylists suggest our Signature Maximum Fullness Shampoo, a gentle formula which is free of additives and will not dry out fine hair. It is important to skip the daily shampoo if you have fine hair. This will allow the natural oils from your scalp protect fine tresses, while also reducing flatness associated with freshly cleaned hair. Try a powdered shampoo or styling product such as Aveda’s Pure Abundance Hair Potion in between shampoos and after work-outs to refresh scalp & hair (this also makes a great styling product, see below). CONDITION: Follow with a weightless conditioner that contains protein to strengthen hair and silk protein to add much needed shine (silicone shine serums and sprays are often too heavy for fine hair. Instead, look to your conditioner to help in the shine department). Our Signature Maximum Fullness Conditioner pairs perfectly with the shampoo and contains both keratin & silk proteins, sunscreen and comes in a lightweight formula designed specifically for fine hair. STYLE: Heavy products with silicone or too much hold will weigh hair down and cause unwanted build up. Also be cautious of super stiff gels and hairsprays that will matte fine hair into crunchy clumps when dry. Our stylists recommend a medium hold volumizing lotion or tonic for everyday styling, such as our Signature Volume Infusion. A multi-tasking product like this one is perfect for fine hair because it takes care of multiple needs in one product – like providing incredible volume, softness, shine & sunscreen, without the weight or stiffness of traditional products – (it’s also great for thinner textured curly hair). One product + Many solutions = eliminating the need for multiple products that will surely weigh fine hair down. For blow-out/ thermal iron days, add a volumizing foam to the mix for root lift, protection against humidity and long lasting smooth hold. Try our Signature Creative Volumizing Foam for a non-sticky solution to achieve lasting volume and easy styling. 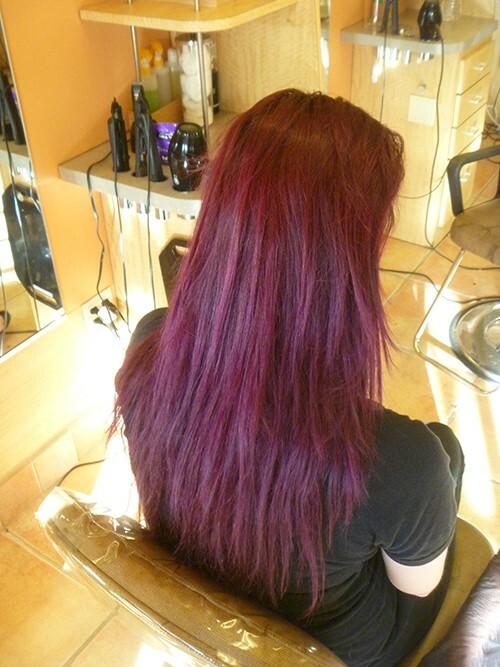 Gentle color: Fine hair has less tolerance to extreme color processes. If you want to make a big change, be prepared to take baby steps to get there – multiple visits to the salon are in order. Opt for subtle enhancing for a low maintenance look without sacrificing your healthy hair. Steer clear of stylists who promise drastic results in one visit – this means they do not have healthy, strong hair in mind. Also insist on health conscious hair color. Look for low or no- ammonia hair professional hair color, high pigment (means longer lasting richer color = less product), and conditioning additives. Check out Artego haircolor, used exclusively by Barberia’s Board Certified Haircolor Specialists. Make health your #1 priority: Fine hair is first of all hair types to show wear n tear. Maintaining health is your first directive to great looking hair. Along with regular maintenance with the right shampoo, conditioning and styling, consider greater measures if your hair is not in perfect health by giving it special treatment: Dry brittle hair needs moisture. However most intensive moisturizing conditioners are too heavy for fine hair on a daily basis. Instead, limit to a weekly moisture masque that promises to not weigh hair down. Try our Signature Indulge Masque to replenish moisture loss from color or heat styling. For damaged hair SOS visit us for monthly in-salon professional strength treatments to repair and restore your hair back to optimum health. Trends in 2012 are adaptable to fine hair. This year’s trends are versatile and can be adopted to work with fine hair types. The key is finding a look that also works with your face shape and life style. Jessica Alba’s easy cut is perfect for oval and oblong shaped faces. Along with an easy upkeep, this look works especially well for fine haired females and elongates the neck and highlights the collarbone with its shoulder grazing length. To get this look, request a blunt & uniform lob with no layers or minimal stacking in the back. Rounder faces do well long layers and a generous side part. These give the structure needed to balance out the soft lines of a rounded face. Steer clear of shorter layers, which can add too much width to the sides. Another easy breezy look to maintain for everyday chic. Best for heart or round shapes, this dramatic look features longer in the front layers with eye grazing, blunt cut bangs. While Naomi’s hair has been flattened into submission, fine haired heads can pull this off with volumizing spray and healthy shiny locks. For a less dramatic version, consider Naomi Watt’s side swept version. Undoubtedly the classic pixie cut is taking over headlines. As if designed for fine hair, this cut imparts lift and texture by its very nature. Best of all, minimal upkeep means styling is simple and quick! Customize the look for your face by adding a bang style that works with your shape: long and piecey like Ginnifer Goodwin works with rounder faces while short and textured looks great on oval and heart shapes. For square faces, consider longer softer layers a la Katie Holmes (notes for pixies: upkeep includes visits to the salon every four weeks to keep the shape). Long soft layers just a bit of bend were all over the spring catwalk. This is great news for fine haired ladies, not only due to reduced heat styling needed to achieve this look (read – less stress on delicate hair) but also takes advantage of minimal product. Dubbed the “urban wave”, you can tailor this look to your face shape by adding bangs – blunt like Emma Stone’s or side swept, your choice – or opt for long layers like Gisele. Are you ready to update your look? Call or email us today for an appointment!